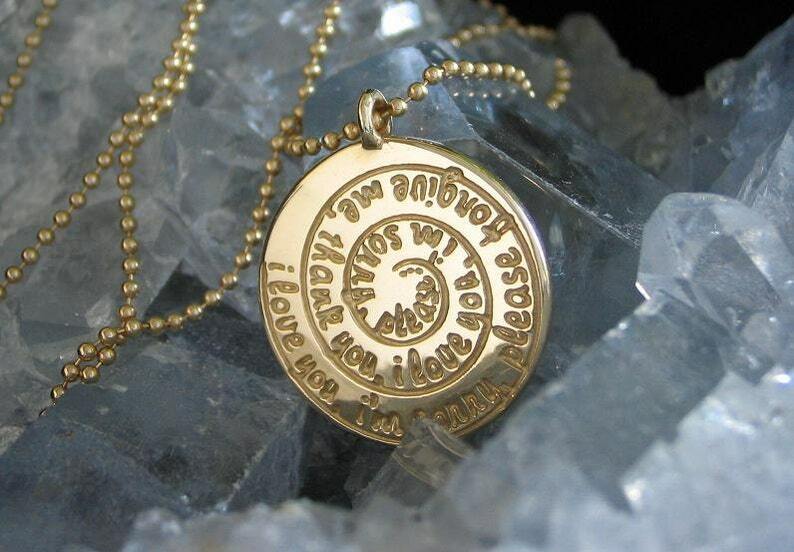 Ho'oponopono spiral pendant/necklace, in recycled 14K Gold, made in NY, NY. This Ho'oponopono necklace measures approximately 20mm tall and 2mm in thickness. The pendant is cast and hand finished in NYC and is USA made. The 14K Gold is a minimum of 78% recycled metal. The chain, in your choice of lengths, is a bead chain in a 1 mm thickness.